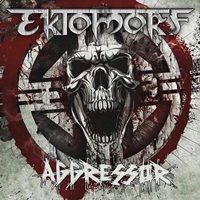 Another year, another Ektomorf studio record in Aggressor. 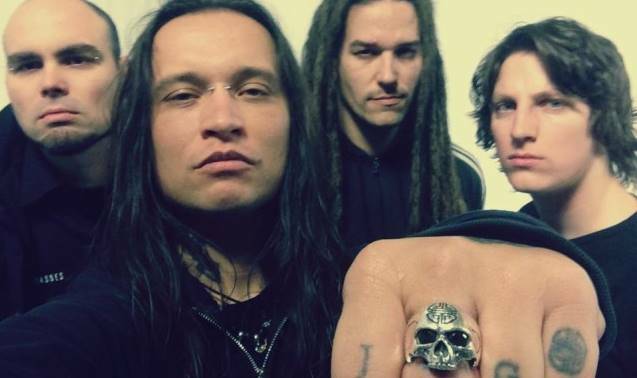 Hungary’s answer to Soulfly hasn’t really broken out of the Max Cavalera-oriented shell in decades, as our esteemed editor elaborated upon during his review of last year’s Retribution on this very site. 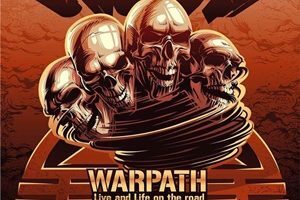 After an Eastern gypsy-like intro, the tribal low-end rhythmic thump signals more of the same Soulfly meets Machine Head punch and roar for “I”, vocalist/guitarist Zoltán Farkas barking out the words in militant fashion. Twelve other tracks follow suit, occasionally expletive laced for more street cred (see title track and “You Lost”) and lyrically tackling similar injustices and discriminations that societies globally face as titles like “Holocaust” and “Emotionless World” suggest. A usual selling point for many of these groove-oriented metal acts if given a long discography is special guest action – for Aggressor you will hear Cannibal Corpse growler George ‘Corpsegrinder’ Fisher on “Evil by Nature” in a trade off format, but this writer doubts many ardent death mavens will suddenly slide into the Ektomorf camp through this collaboration. 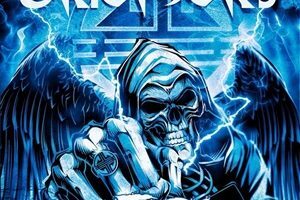 The production values from veteran knob twiddler Tue Madsen keep the quartet in a solid slam mold, the guitars and bass rumbling along for best pit action stimulation while drummer Robert Jaksa slays his drum kit in primal fits. A left field closer in the acoustic-oriented instrumental “Memento” hints at the group’s previous effort a few years back, but one wonders if it’s a case of too little, too late in establishing their own byline or is Ektomorf content to be Eastern Europe’s answer to all things Soulfly? 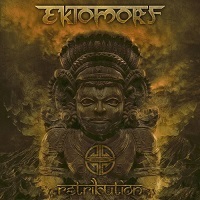 Much like the cola and burger wars, Ektomorf appears content to be following the leader and siphoning an audience who desire more low tuned power groove riffs, equally rhythmic vocal melodies, and anger fueling the machine. Count me disappointed, as Aggressor should expand the repertoire for these Hungarians, not tighten the noose.